The following statement was issued by the AIDLR Secretary General regarding the conversation between Dr. Liviu Olteanu and Dr. Agnes CALLAMARD, the Special Rapporteur of the United Nations High Commissioner for Human Rights, Palais des Nations, Geneva, Switzerland. The representatives of the two organizations discussed the tools they can use together to prevent the incitement to violence and how they can foster worldwide the defense of religious liberty and freedom of conscience by a continued vigilance and dialogue with the State and non-State actors. An active collaboration has been established between the AIDLR and the MANDATE OF SPECIAL RAPPORTEUR, especially on the issue of education and training of different stakeholders on human rights and freedom of religion or belief. 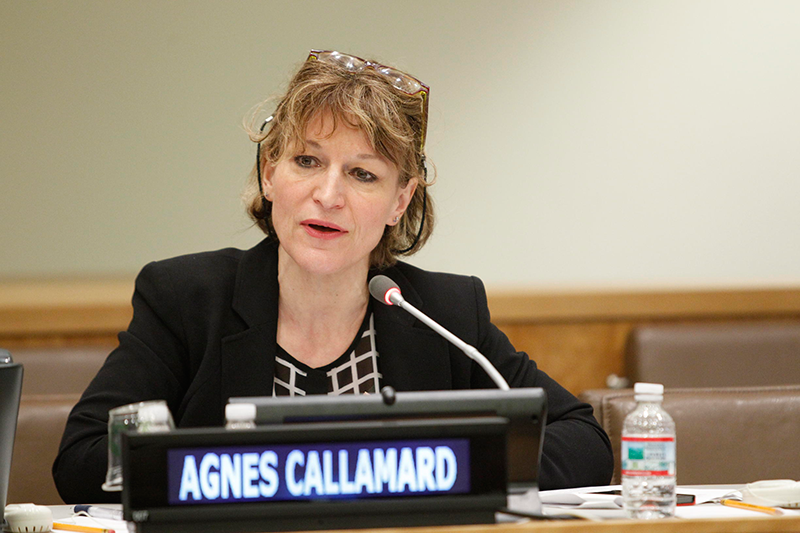 Photo: Dr. Agnes CALLAMARD the Special Rapporteur of the United Nations High Commissioner for Human Rights, Palais des Nations, Geneva, Switzerland.